ABOUT GOWLING WLG At Gowling WLG, our dedication to excellence and quality service begins with our people. As a global law firm with offices across Canada, the U.K., Europe, the Middle East and Asia, we pride ourselves on sourcing and retaining top talent who bring energy, passion and commitment to the delivery of outstanding client service. When it comes to diversity, we not only accept it — we celebrate it, support it and thrive on it. To create an engaging and rewarding place to work, we seek to attract talented people from a diverse range of backgrounds and cultures. Our aim is to help everyone reach their full potential and achieve their personal and professional goals. Employee satisfaction is important to us. We work hard to ensure that our people are motivated, engaged and empowered. Our diverse group of legal professionals, law students, law clerks/paralegals, legal administrative assistants and business support staff work together as a team, and are respected and valued for their individual contributions. PROFILE Gowling WLG’s Ottawa office is currently seeking an energetic, positive and motivated Commercial Litigation Lawyer to join its dynamic Advocacy Law group. QUALIFICATIONS The successful candidate will, in addition to any other practice experience, have a minimum of three years of commercial litigation. Experience in condominium law, real estate law and/or estate law is preferred asset, but not necessarily required. The successful candidate must be bilingual (English and French) with excellent writing and communication skills and be prepared to work in a fast-paced, team environment. Interested candidates should forward their resumes, including academic records, in confidence via the career page on our website. Gowling WLG is proud to offer equal employment opportunities. If you have a disability or special need that requires accommodation at any time during the recruitment process, please let us know. While we appreciate all applications received, only those candidates selected for an interview will be contacted. Our client is a leading western Canadian business law firm known for their practical, strategic approach to legal and business problems. Their lawyers are widely recognized by respected legal and business publications. Their clients are leaders in the jurisdictions where they are located around the world. This office also boasts a strong litigation practice, with particular emphasis on corporate and commercial matters, construction law, First Nations litigation, insolvency, and administrative matters. Our client is now seeking an exceptional junior level litigation associate to join their current complement of esteemed professionals. Qualifications and Attributes: 1-5 years of litigation experience from a reputable Canadian law firm. Above average academics/transcripts Consistent employment history Team player Self-motivated Exemplified commitment to private practice Confident Canadian qualified Our client is offering the following: Competitive base salary Lucrative bonus structure Excellent family benefits, including additional health and wellness perks Additional educational incentives Quality work on large files Potentialforcross-borderwork Mentorship Opportunity for future partnership We guarantee discretion and confidentiality. If you’re entrepreneurial, business-minded and always craving the next challenge, we would love to have you join us on our mission to shape the future of law. Our lawyers benefit from a self-directed practice, flexibility, top tier peers and access to the world's largest and most innovative clients - all with a full suite of benefits including paid time off, healthcare and professional development resources. Currently, we're on the hunt for exceptional funds lawyers to join our ranks with: 5+ years of experience in funds and asset management, including significant experience drafting, reviewing and advising on mutual fund and ETF formation, investment management agreements, and general securities laws relevant to the asset management industry A high level of professionalism and outstanding business judgment with strong academic and law firm credentials. Prior in-house experience preferred An innovative approach to legal issues in support of strategic business initiatives and objectives with a passion for providing unparalleled client service Member in good standing with the Law Society of Ontario and able to work onsite throughout the GTA The responsibilities for this role will include: Advising on a full range of issues associated with the formation, distribution and management of funds. Providing guidance to clients with respect to negotiating investments, forming and marketing a fund, and registration preparation Working with and advising business clients directly, as well as providing guidance and practical solutions Axiom is an equal opportunity employer and committed to a diverse workforce. With over 2,000 (and growing) Axiomites based around the world, we seek to live up to the New York Times’ prediction that: “A more sweeping transformation may be on the horizon. And it may look a lot like Axiom”. Our company is ranked #1 in business of law, innovation in corporate strategy and innovation in law firm efficiency by the Financial Times. Axiom will accommodate persons with disabilities in accordance with the Accessibility for Ontarians with Disabilities Act, and in accordance with the Human Rights Code. Accommodation for applicants with disabilities will be provided at each stage of the recruitment process. If you have a disability and require accommodation to complete the application form, please contact us at toronto@axiomlaw.com . In addition, if you are invited to participate in an interview stage, please inform us if you require special accommodation at the time of your invitation for an interview. Insurance Defence Associate Torkin Manes LLP is a vibrant, growing, medium-sized full service law firm located in downtown Toronto. We are proud to have been recently recognized as the #1 ranked Ontario regional law firm by Canadian Lawyer . Our 95+ lawyers practise in all areas of business law and litigation. We are seeking two talented and energetic lawyers, with direct experience, to join our Insurance Defence Group. 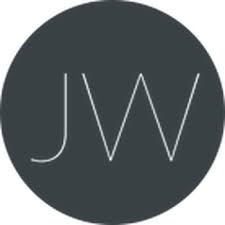 Junior Associate: The successful incumbent will have 1 year of experience and will be required to carry small claims court and simplified procedures cases. Responsibilities include various scheduling activities, such as trial scheduling, court motions and settlement conferences. This level of associate will assist senior lawyers with large cases. 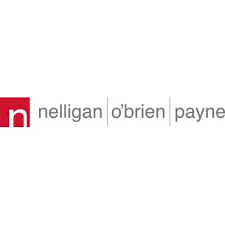 Intermediate Associate: The successful incumbent will have 3 – 5 years of experience and will be involved in all aspects of litigation, including discoveries, pre-trials and mediations. This level of associate will independently carry files on their own and manage complex cases. Candidates must possess strong analytical, negotiation and business development skills, coupled with the ability to provide excellent client service. If you are motivated and looking to excel, please apply in confidence to: Mark Harrington, Head, Insurance Defence Group mharrington@torkinmanes.com Torkin Manes LLP is an Equal Opportunity Employer that is committed to inclusive, barrier-free recruitment and selection processes. In accordance with the Accessibility for Ontarians with Disabilities Act, 2005 and the Ontario Human Rights Code, Torkin Manes is proud to provide employment accommodation during the recruitment, selection and/or assessment processes. Should you require an accommodation, please inform us as soon as possible by reaching out to Simone MacIsaac, HR Manager, at smacisaac@torkinmanes.com or 416-777-5450, and we will work with you to meet your accessibility needs. We welcome applications from all qualified candidates. We thank all those who apply. However, only those selected for an interview will be contacted. Job Details Description Stikeman Elliott LLP, one of Canada’s pre-eminent business law firms, is seeking an experienced real estate associate. The successful candidate will have 3 to 5 years of experience working on commercial real estate matters. This is an excellent opportunity to join a high performing group of excellent lawyers! For the 10th consecutive year, Stikeman Elliott LLP has been named as one of the 2019 Aon Best Employers in Canada. Being awarded this recognition is a testament to the exceptional workplace that our hardworking and dedicated people have created. Stikeman Elliott LLP prides itself on providing excellent learning and development opportunities and support for its associates. This is a unique opportunity to join a collegial and leading group of lawyers in our Calgary office. In this position you will work with a dynamic team of lawyers and gain industry leading experience working with clients on sophisticated commercial real estate and banking matters. You will be involved in representing domestic and international clients in all areas of commercial real estate, development, and construction transactions, as well as with purchasers and vendors, owners and contractors in the oil and gas and real estate industries. You will also work with purchasers and vendors with respect to acquisitions and dispositions of multi-tenant office complexes, industrial properties and development sites, ground and property leasing. The successful candidate will have: a law degree and membership in good standing with the Law Society of Alberta; a desire to do excellent work; excellent academic credentials; a breadth and depth of technical legal knowledge, excellent business judgment, and strong analytical and drafting skills; excellent interpersonal and client service skills, strong initiative, and the ability to work well on a variety of teams; and excellent organizational, project management and leadership skills, and the ability to handle multiple time sensitive priorities. Interested candidates are asked to submit the following materials: cover letter; resume; copies of official academic transcripts; and summary and description of relevant experience. Stikeman Elliott LLP welcomes applications from all qualified applicants. We thank all applicants for their interest, however, only those selected for an interview will be contacted. Stikeman Elliott LLP, one of Canada’s pre-eminent business law firms, is seeking an experienced commercial litigation associate. 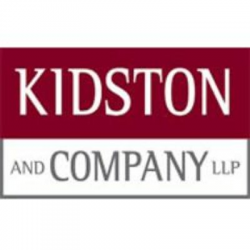 The successful candidate will have 4 to 7 years of experience working on complex civil and commercial litigation matters, arbitrations, and alternative dispute resolution. This is an excellent opportunity to join a high performing group of excellent lawyers! For the 10th consecutive year, Stikeman Elliott LLP has been named as one of the 2019 Aon Best Employers in Canada. Being awarded this recognition is a testament to the exceptional workplace that our hardworking and dedicated people have created. Stikeman Elliott LLP prides itself on providing excellent learning and development opportunities and support for its associates. This is a unique opportunity to join a collegial and leading group of lawyers in our Calgary office. You will work with some of the most talented lawyers in the industry and benefit from their experience, insight, and dedication as you grow your practice. You will gain industry leading experience working with clients on significant litigation mandates with our dynamic team of lawyers. You will be involved in representing domestic and international clients in all areas of commercial litigation including matters involving oil and gas, construction law, corporate governance, securities, shareholder activism, product liability, professional liability, and more. The successful candidate will have: a law degree and membership in good standing with the Law Society of Alberta; a desire to do excellent work; excellent academic credentials; a breadth and depth of technical legal knowledge, excellent business judgment, and strong analytical and drafting skills; excellent interpersonal and client service skills, strong initiative, and the ability to work well on a variety of teams; and excellent organizational, project management and leadership skills, and the ability to handle multiple time sensitive priorities. Interested candidates are asked to submit the following materials: cover letter; resume; copies of official academic transcripts; and summary and description of relevant experience. Stikeman Elliott LLP welcomes applications from all qualified applicants. To apply please visit the Calgary Associates page of our website at https://www.stikeman.com/en-ca/careers/associates/calgary. We thank all applicants for their interest, however, only those selected for an interview will be contacted. Energy/Oil & Gas Associate – CALGARY OFFICE** Stikeman Elliott LLP, one of Canada’s pre-eminent business law firms, is seeking an experienced Energy / Oil & Gas associate. The successful candidate will have 3 to 6 years** of experience working on commercial arrangements, primarily in the petroleum and natural gas and power sectors. Experience in advising clients on joint venture arrangements, private share and asset purchase and sale transactions, supply contracts, service contracts, operating agreements, transportation and storage agreements, trading contracts, LNG matters and other transactional matters will be very relevant to the role. For the 10th consecutive year, Stikeman Elliott LLP has been named as one of the 2019 Aon Best Employers in Canada. Being awarded this recognition is a testament to the exceptional workplace that our hardworking and dedicated people have created. Stikeman Elliott LLP prides itself on providing excellent learning and development opportunities and support for its associates. This is a unique opportunity to join a collegial and leading group of lawyers in our Calgary office. In this position you will work with a dynamic team of lawyers and gain industry leading experience working with clients in significant transactional and advisory engagements. 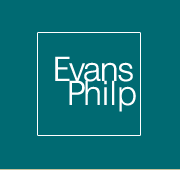 You will be involved in advising domestic and international clients in all areas of oil and gas projects. The successful candidate will have: a law degree and membership in good standing with the Law Society of Alberta; a desire to do excellent work; excellent academic credentials; a breadth and depth of technical legal knowledge, excellent business judgment, and strong analytical and drafting skills; excellent interpersonal and client service skills, strong initiative, and the ability to work well on a variety of teams; and excellent organizational, project management and leadership skills, and the ability to handle multiple time sensitive priorities. Interested candidates are asked to submit the following materials: cover letter; resume; copies of official academic transcripts; and summary and description of relevant experience. Stikeman Elliott LLP welcomes applications from all qualified applicants. To apply please visit the Calgary Associates page of our website at https://www.stikeman.com/en-ca/careers/associates/calgary. We thank all applicants for their interest, however, only those selected for an interview will be contacted. Location Montréal Description Are you ready for a new challenge in your legal career? Osler is seeking an associate with one to four years of relevant experience to join its Montreal Litigation Department. As an associate in the Litigation Department, you will work with leading lawyers in a broad range of sophisticated, complex commercial litigation and class action defence, including multijurisdictional matters. We represent major institutional clients on high-profile, precedent-setting cases across various industries and at all levels of court. Position Requirements The successful candidate will have: 1 to 4 years of commercial litigation experience; superior academic credentials; excellent writing and communication skills, both in French and English; solid legal research skills; ability to work in a fast-paced environment; strong interpersonal skills. How To Apply Consistently ranked as one of Canada’s leading business law firms both by clients and independent reviews, Osler is committed on providing excellent client service to a broad range of clients at various stages. Osler’s Montreal office offers the successful candidate the advantage of working in a collegial, innovative and rapidly evolving environment, while benefitting from the knowledge and expertise of more than 400 of the best legal minds in the country. Associates experience a diverse and inclusive firm culture that promotes teamwork and collaboration at all levels. If you are ready to take your next step and join our team, please reply in confidence with a cover letter, detailed résumé and academic transcripts to: Catherine Lambert Director, Professional Resources Osler, Hoskin & Harcourt LLP 1000 de la Gauchetière Street West, Suite 2100 Montreal, QC H3B 4W5 E-mail: clambert@osler.com No agencies please. We thank all applicants for their interest in Osler; however, only chosen applicants will be contacted. Osler is committed to fostering a diverse and inclusive work environment, and we welcome and encourage applications from people with disabilities and people with diverse backgrounds, identities, and cultures. For candidates with disabilities, accommodations are available upon request in all phases of the selection process. We are looking for ambitious, energetic, self-starters with two or more years at the Bar to join our expanding business-focused law firm. The ideal candidates will possess solid legal backgrounds with relevant experience that evidences both the ability to accept ever-higher levels of responsibility and the tools needed to develop and nurture solid practices. If this sounds like you, then we have an office ready for you. For our part, we will offer you a friendly, collegial (open-door) atmosphere, competitive compensation packages, full secretarial and accounting support and most importantly, the freedom grow, explore your potential and ultimately move forward into the future with us. 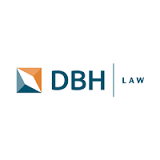 Company Profile DBH Law Calgary is a full-service boutique law firm specializing in litigation, business law, oil & gas, real estate, construction, trademark & Wills. For over 25 years, DBH has worked with clients to achieve their goals and navigate the complex, ever-changing legal environment. Toronto DESCRIPTION Are you interested in Osler, but don’t see an active job posting matching your interests or experience? We’re always looking for the best and brightest lawyers to join our team! Submit your application to join our Toronto office and let us know which practice area you’re interested in. If you're ready to take the next step in your legal career, join Osler to be part of a committed team that values professional development, mentorship and the contributions of our members. Our experience, expertise and culture are what set us apart, and we’re looking for smart, passionate and creative lawyers to add to our strength. If you’re up for challenging and innovative work while developing your skills alongside some of the country’s top legal talent, ​we want to hear from you. HOW TO APPLY Please submit in confidence your cover letter, detailed résumé and academic transcripts directly to our online application portal. Apply Now Applications should be addressed to: Christina Beaudoin Director, Student Programs and Legal Recruitment Osler, Hoskin & Harcourt LLP 1 First Canadian Place, P.O. Box 50 Toronto, ON M5X 1B8 No agencies please. We thank all applicants for their interest in Osler; however, only chosen applicants will be contacted. Osler is committed to fostering a diverse and inclusive work environment, and we welcome and encourage applications from people with disabilities and people with diverse backgrounds, identities, and cultures. For candidates with disabilities, accommodations are available upon request in all phases of the selection process. Description At Baker McKenzie, we are different in the way we think, work and behave -- like no other firm and few other businesses. With more than 4,100 locally admitted lawyers and more than 5,800 business service professionals in 77 offices worldwide, we have a passionately collaborative community of 60 nationalities and are committed to world-class career development to everyone in every job at every level in our firm. Baker McKenzie can offer you both the uncompromising commitment to excellence expected of a top firm and a distinctive way of thinking, working and behaving - as a passionately global and genuinely collaborative firm. The Toronto office of Baker McKenzie seeks a mid-level associate to join its Banking and Finance Group Practice Group. Experience Required The ideal candidate for the mid-level associate position will have 3 to 5 years of related experience on a variety of banking and finance matters. The successful candidate will principally work on domestic transactions, but may be asked to assist on international transactions from time to time. This role requires a lawyer with experience with a top tier firm, outstanding drafting and communication skills, a commitment to client service, and an entrepreneurial spirit. Candidates will be called to the Ontario Bar. Dual qualification in one or more international jurisdictions will be considered an asset. Candidates will have excellent domestic experience, but will also have an international outlook, ready to develop existing national and regional client relationships, and to leverage Baker McKenzie's global network. We welcome and encourage applications from people with disabilities. Accommodations are available upon request for candidates taking part in all aspects of the selection process. Baker McKenzie is an Equal Opportunity Employer. Only those selected for an interview will be contacted. Position: Lawyer Reports To: Managing Lawyer Department: LegalShield Mills & Mills LLP is a mid-size growing law firm, with over 70 employees. Our core values that help guide each member in our firm are: Integrity, Competence, Initiative, Cooperation, Respect and Care . For us, there is no better question than “how can I help?” We offer telecommuting,competitive compensation/benefits and a positive and challenging work environment. Purpose of Role Provide legal advice and superior customer service to LegalShield members. Working Conditions Full time approximately 40 to 48hrs/week Days required to work: Monday to Friday On-call by telephone one week per month Majority of your time will be spent on the phone providing legal advice to LegalShield members Open concept office environment to allow for ease of collaboration amongst colleagues Key Responsibilities In this role your responsibilities will include: Providing superb legal advice on various areas of law to LegalShield members Managing all aspects of each assigned file Drafting, editing and responding to emails, correspondence, memoranda, reports, reviewing contracts and other legal documents and etc. Meeting daily compliance and targets Communicating with financial institutions, government agencies, members and lawyers Other duties as assigned Education/Skills, Knowledge and Abilities Minimum 2 years post call experience, knowledge in various areas of law would be an asset Business, Criminal and Employment law knowledge and experience is preferred Experience with software: Excel, PCLaw, Word and Outlook Works well under pressure, manage priorities and meet deadlines Strong teamwork skills, proactive and positive work attitude Mills & Mills LLP is an inclusive employer dedicated to building a diverse workforce. We encourage applications from all qualified candidates and will accommodate applicants’ needs under the respective provincial human rights codes throughout all stages of the recruitment and selection process. Please advise the Human Resource Manager to ensure your accessibility needs are accommodated throughout this process. Information received relating to accommodation will be addressed confidentially. To apply, please submit your resume. We thank all applicants in advance for their interest; however, only those candidates selected for an interview will be contacted. While most top firms are clustered in the downtown core, we at Davies Howe call the King Street West / Entertainment District our home. It suits our style – sharp, urban and contemporary. We successfully compete with Bay Street by hiring and nurturing great legal minds. Our values are simple and we live them every day – Integrity, Creativity, Excellence and Teamwork. We call it ICE-T. 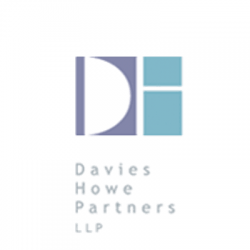 ASSOCIATE POSITION DAVIES HOWE IS LOOKING FOR A TALENTED LAWYER TO JOIN OUR CREATIVE AND DYNAMIC TEAM. An associate lawyer with 1 to 4 years’ experience to specialize in our cost-sharing and infrastructure practice. The successful candidate will work in collaboration with lawyers who specialize in negotiating and drafting agreements to secure necessary infrastructure for new development opportunities. The role will require involvement in other areas of the land development process and expropriation matters. The candidate should have strong legal drafting and analytical skills, a demonstrated background and interest in real estate development and a background in land use planning or real estate law. Proficiency with Teraview would be an asset though not a requirement. The successful candidates will be able to demonstrate: Creative and compelling legal drafting abilities. Finely-honed analytical skills. Persuasive speaking and presentation abilities. An understanding of real property and/or planning law issues. An interest in working with a team and in a team-oriented environment. Intellectual curiosity. We ask interested applicants to submit a cover letter, resume, writing sample and transcripts to annek@davieshowe.com .